As the weekend schedules started to return to normal after holiday programming, activity levels on Twitter started to pick back up. Cashin’ In was at its usual levels, down a very slight 6% from last weekend’s record high. All other leading shows were down, most much more dramatically than that. More useful for reading the levels of the shows in the tail, but quite deceptive to the human eye. 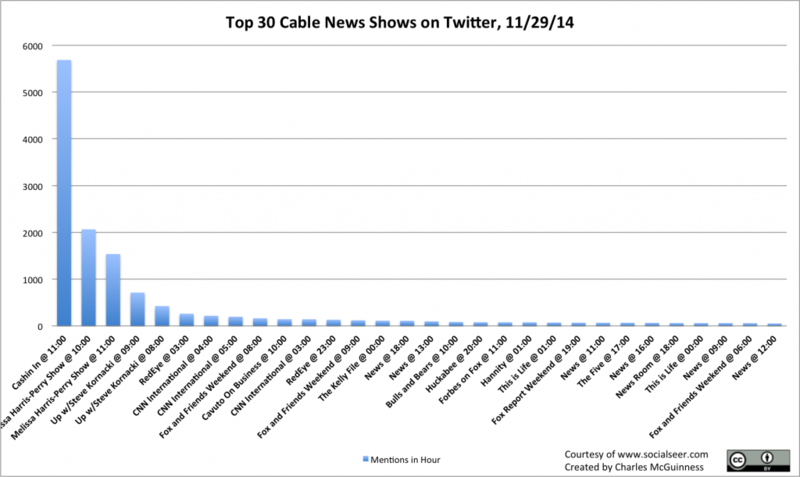 Ferguson was the top trending topic in Cable News Twitter on Friday, followed by Black Friday, and the trailer for “The Force Awakens”. Friday’s schedule was a special holiday one, with much of the normal programming displaced by re-runs and pre-taped shows. As a result, the conversation on Twitter was subdued. 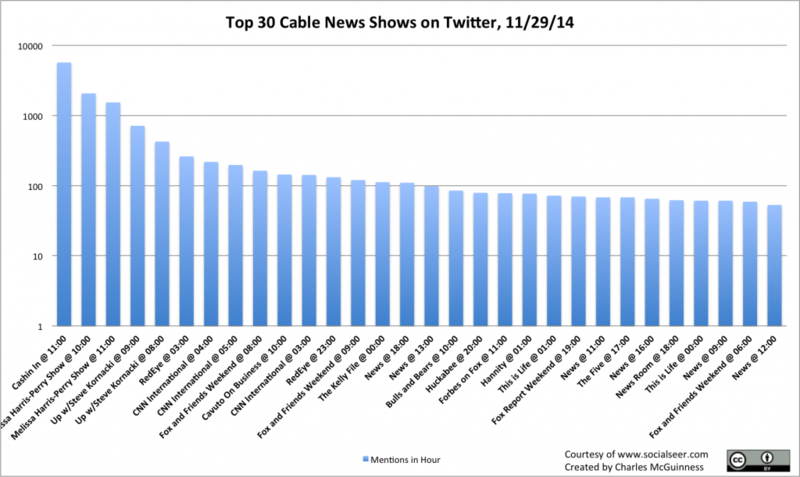 Greta one the best hour with a very low 703 mentions, while MSNBC live, which filled most of that network’s shortened news day, had the most mentions overall. 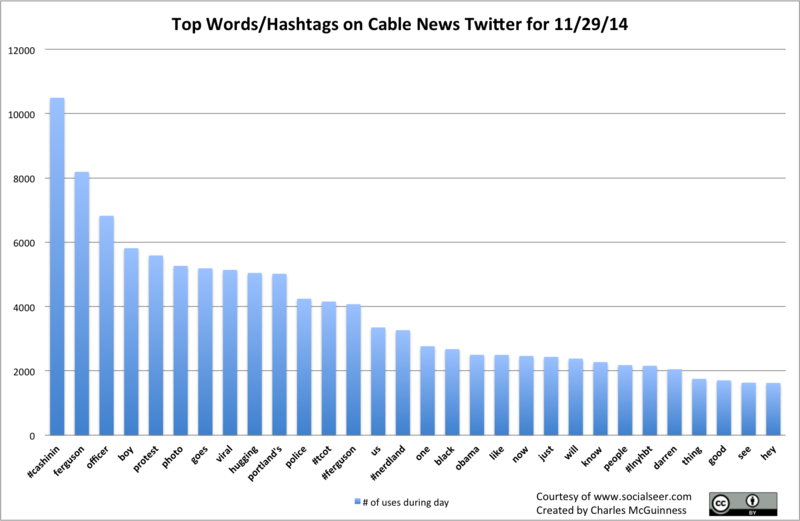 Thanksgiving talk dominates Cable News Twitter on Thanksgiving. Yep. People were talking about Thanksgiving on Thanksgiving.